A key driver of The North American Network Operators’ Group (NANOG) is its Program Committee. The Program Committee is a Board-appointed group of industry professionals who are the leading force in researching, recruiting, reviewing and implementing the program for each NANOG meeting. 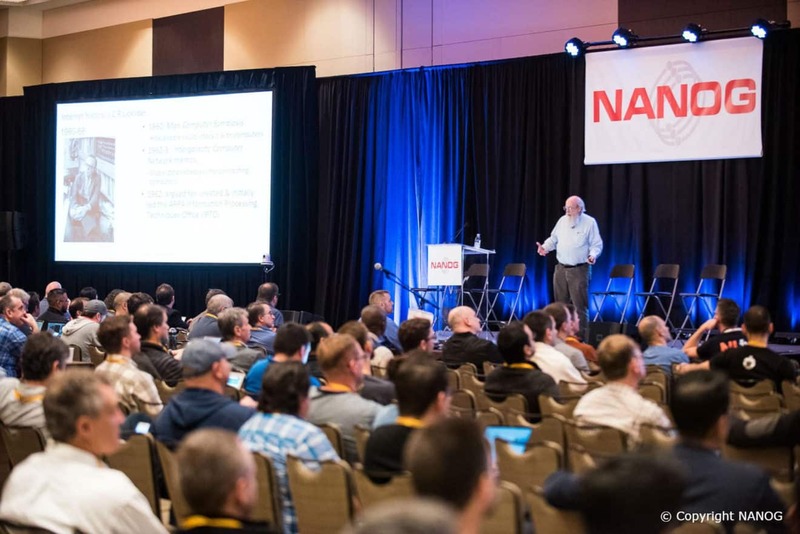 The Program Committee solicits presentations and works with potential speakers to review and refine proposals and abstracts, ensuring technical accuracy and relevance to the NANOG community. The 2018-2019 Program Committee was selected and announced during February’s NANOG 72 meeting held in Atlanta, Georgia. The 21 members of the 2018-2019 NANOG Program Committee are Chairman Ryan Woolley, Netflix; Vice Chair Brad Raymo, Oath; and Secretary Benson Schliesser, Volta Networks. In addition, Program Committee Hackathon sub-committee members also include Vincent Celindro, Juniper Networks; Michael Costello, Netflix; and is chaired by Chris Woodfield, Salesforce.com. The Program Committee for the NANOG On The Road sub-Committee are Steve Feldman, CBS Interactive, and Edward Winstead, Internet Systems Consortium. The committee is rounded out by members Christina Y. Chu, NTT America, Inc.; Michaela Clifford, Facebook; Philippe Couture, Videotron; Adam Davenport, GTT Communications; Greg Hankins; Nokia; Tom Kacprzynski, VidScale; Mohit Lad, ThousandEyes Inc.; Ryan Landry, Fastly, Inc.; Ognian Mitev, Charter Communications; Chris Pennisi, Global Cloud Xchange; Jeff Ringwelski, Facebook; Steven Schechter, Akamai Technologies Inc.; and Krassimir Tzvetanov, Fastly.